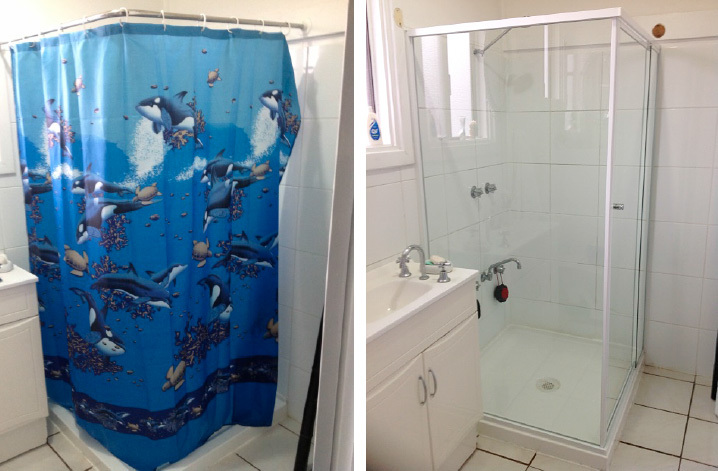 See the transformation a custom made framed shower screen can achieve in a bathroom. We replaced this simple rod and curtain with a White Framed Front & Side shower screen. This small investment has added value to the home, dramatically improved the functionality of the bathroom and most importantly… no more shower curtain clinging to the body when having a shower! Call Jim’s on 131 546 today talk about upgrading your bathroom too.